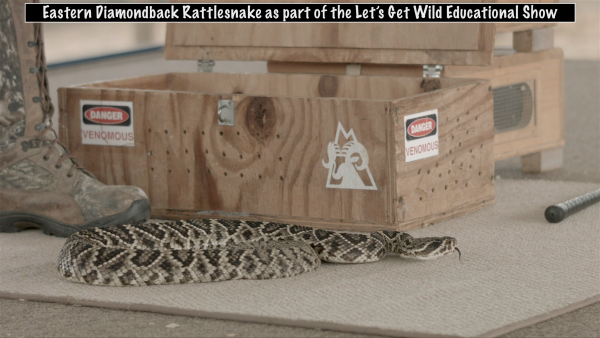 Rattlesnakes are fascinating, beautiful, but often feared and misunderstood creatures. 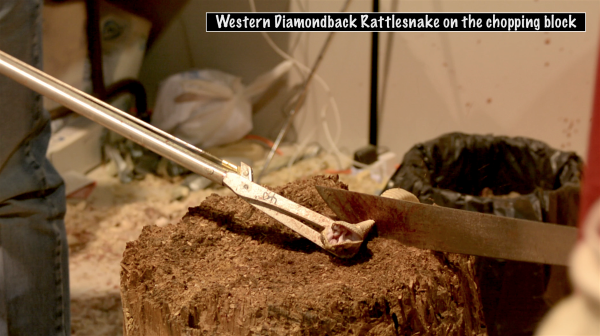 They are also the victims of the largest public slaughter of native wildlife in the United States. 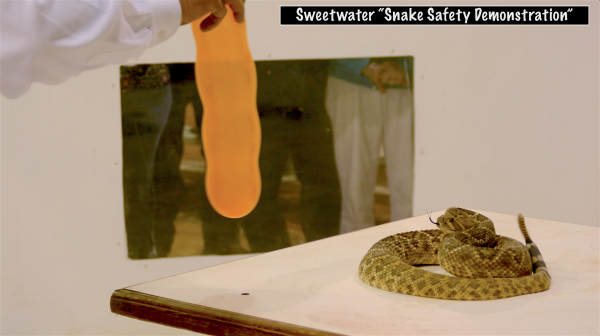 Our feature-length documentary, Rounding Up Sweetwater, will debunk both the pseudo-science used to justify roundups as well as negative stereotypes about rattlesnakes used to demonize them. But perhaps most importantly, we will show there’s a better way, that it is possible to stop slaughtering snakes without losing their festivals or the income they generate. 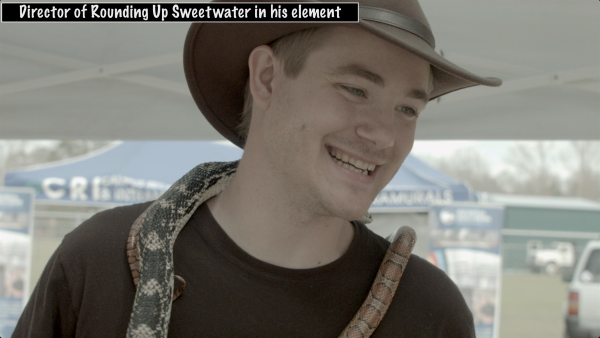 Rounding Up Sweetwater started out as a short student film project to capture the world’s largest rattlesnake roundup in Sweetwater, Texas. But there is much more to the story that we need to tell. 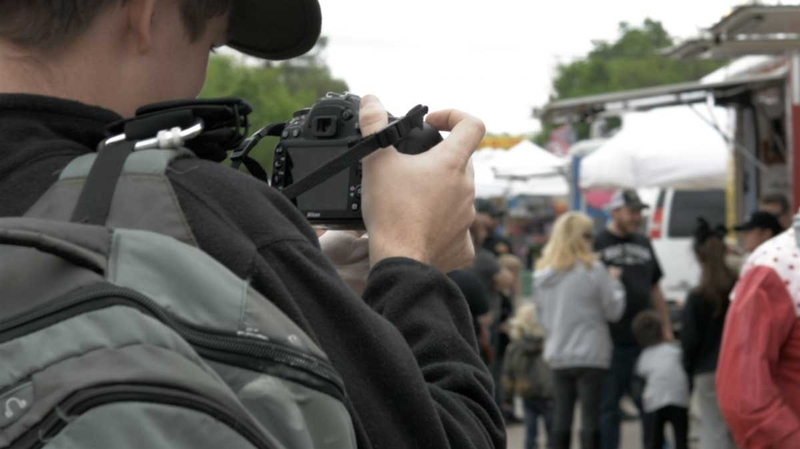 After seeing firsthand what goes on in Sweetwater every year, we know there is a better way. 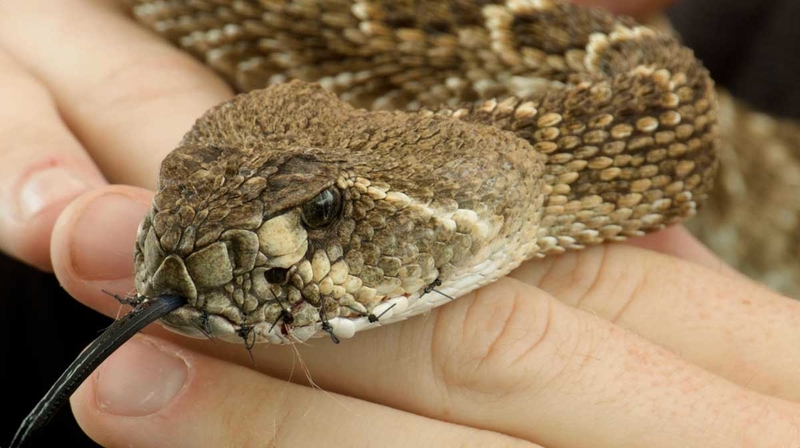 People of the small town of Claxton, Georgia transformed their rattlesnake roundup into the Claxton Rattlesnake and Wildlife Festival, a festival where they promote conservation and education instead of fear and misconceptions. 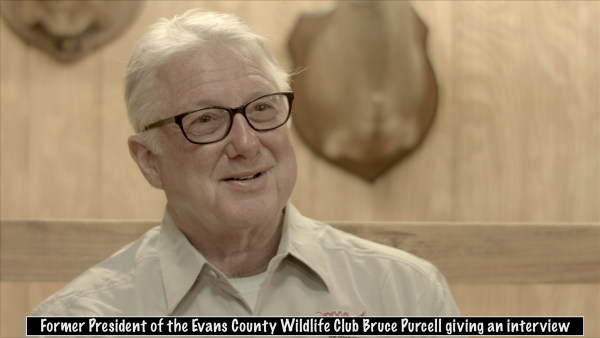 This film will give a voice to the people and wildlife affected by these roundups. 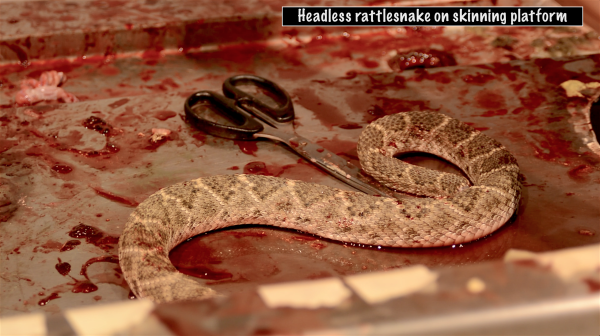 Please join us in our efforts to bring this documentary to life and Stop Snake Slaughter at Rattlesnake Roundups. I want to take a moment to update all of you about the latest progress with Rounding Up Sweetwater. 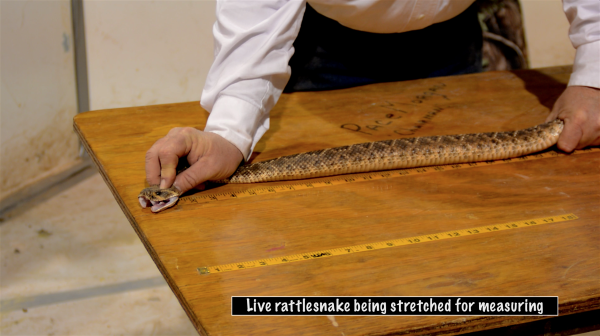 With the outpouring of support we received, our team was able to attend the Rattlesnake Roundup in Apache, Oklahoma! 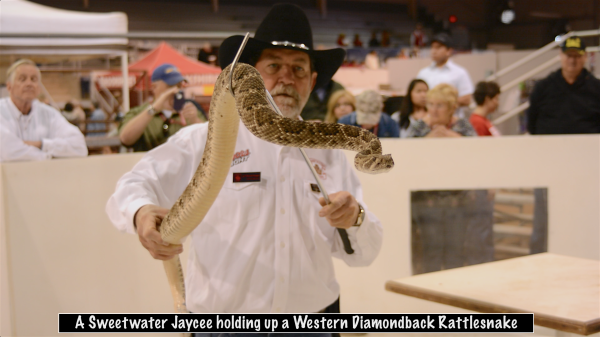 In some ways it was very similar to what we saw at the Sweetwater Rattlesnake Roundup and in other ways it was very different. While it maintained the same community characteristics and overall setup of Sweetwater, it was on a much smaller scale. 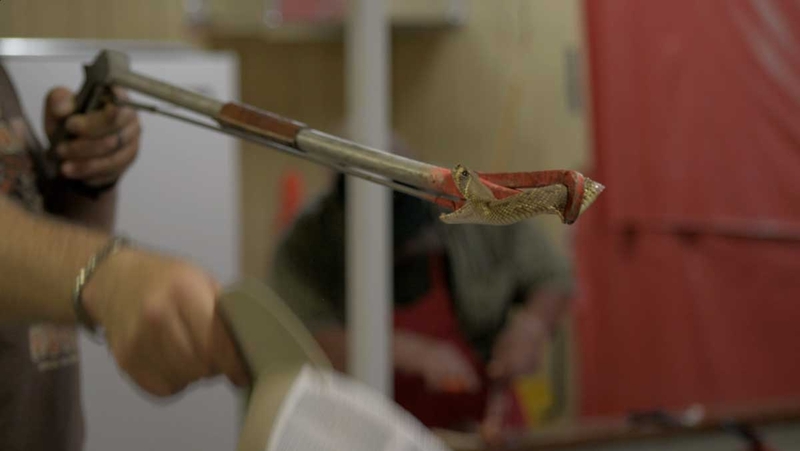 The one thing that set it apart was the practice of mouth sewing on live snakes. 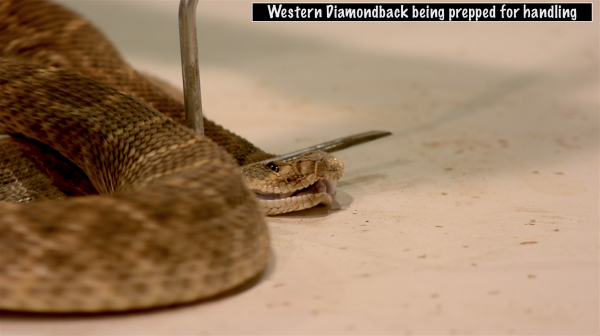 Upon arriving, we observed two western diamondback rattlesnakes, having had their fangs pulled out and lips sewn shut with wire, being used for public photo opportunities. 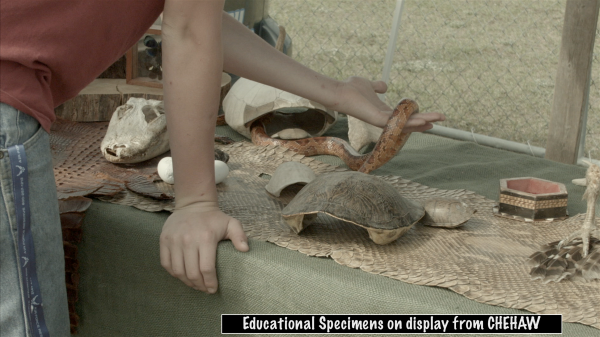 Within the duration of our visit the snakes were visibly losing their fight and by the end, the organizers needed yet another snake to keep the booth going. 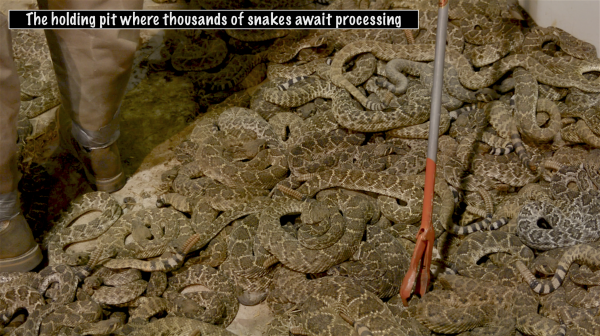 We caught all of this on camera and more. 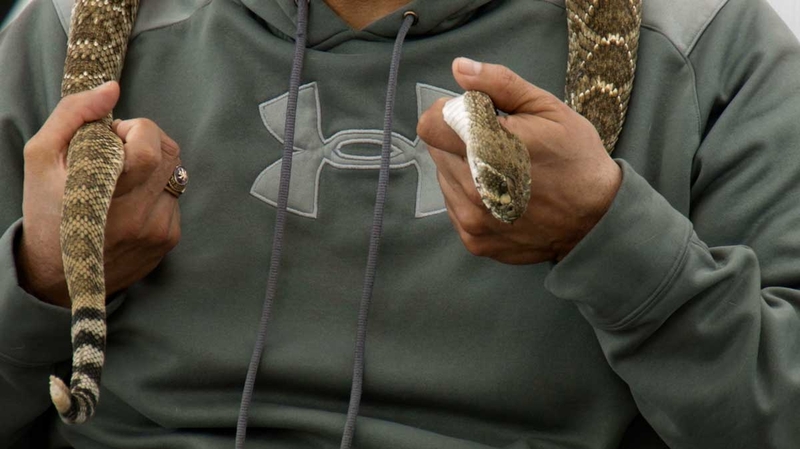 As someone who absolutely loves snakes, this was incredibly difficult for me. It’s tough to see any animal being abused before ending its life. But when it came to sewing their mouths shut to take pictures, it was meant to keep them alive as long as possible in that state and was especially tough to witness. We knew what to expect, but I feel we were only partly prepared for seeing it in person. 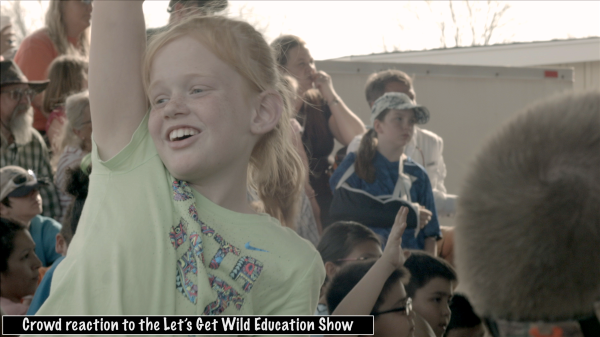 Regardless, my crew buckled down and did what needed to be done to get the footage we needed. And for this I am proud of my team and thankful for all the support we have received. The biggest shock of the trip for me, personally, were the attitudes of the people running the event. I would like to start by saying that while they were hesitant at first, they proved to be welcoming and willing to speak with us. That being said, there was a clear disconnect. We were told that the community was the victim of harassment (mainly online). 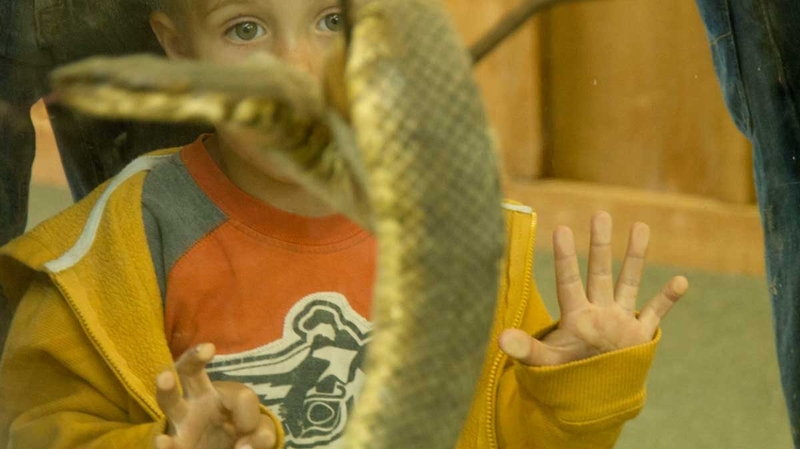 We were told that they don’t actually hurt the snakes. 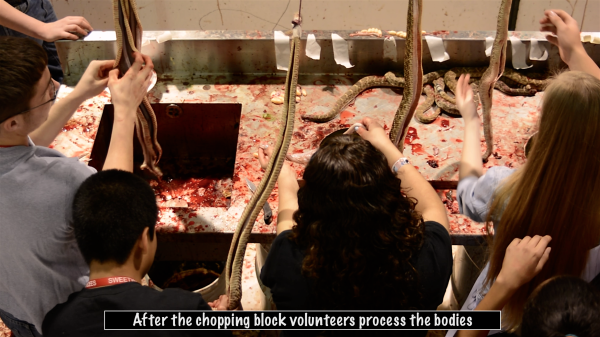 We were even told by several that they regarded themselves as “animal lovers,” and even that “they love snakes.” From what we encountered, they honestly don’t think they’re doing anything wrong. 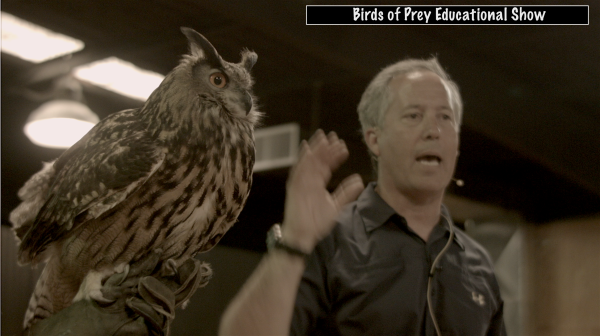 But our visit clearly reaffirmed to us that these practices are absolutely animal cruelty and need to end. However, I also walked away with an even stronger sense of hope that these roundups can change for the better. 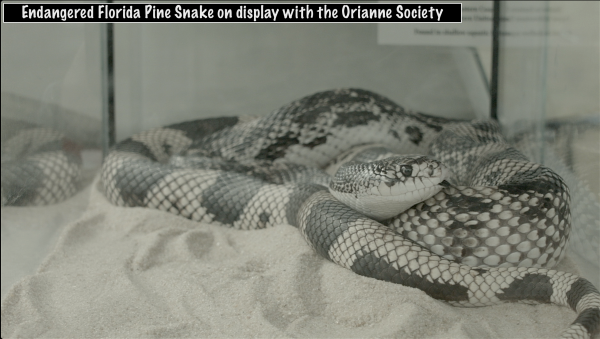 If their commitment and enthusiasm can be redirected toward activities that promote conservation, respect, and coexistence over fear, these events can become a powerful force for snake conservation. 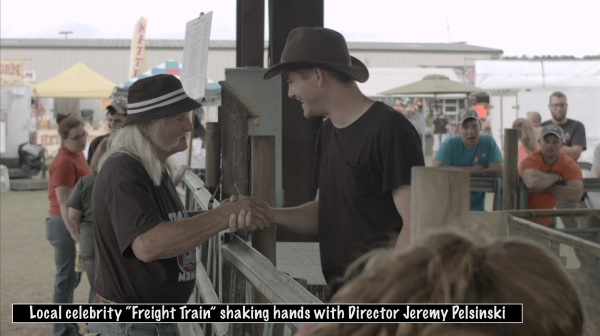 These folks could still hold their festival without the cruelty, and I am left with even more determination to drive that change forward through this documentary! 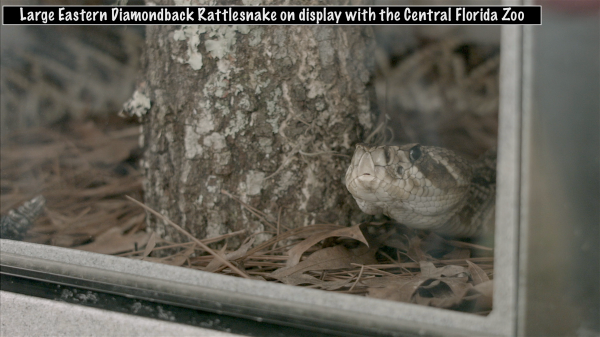 At the end of August we met up with Jeff and Melissa at ASP to film the natural behavior of rattlesnakes in the wild. Thank you again for all of your donations, support, and words of encouragement. It has made our work possible and it keeps us going. Rounding Up Sweetwater has grown so much since we started and I know it will be a strong voice for the voiceless!